Jerry is a long time Naples resident who transplanted to Florida at the age of 8 from Pittsburgh, Pennsylvania. After graduating with honors from Gulf Coast High School, Jerry pursued a Hospitality Management and Business degree between Florida Gulf Coast University and Valencia College. During college, Jerry worked in various positions in several high end country clubs. From there Jerry worked for several years at the Waldorf Astoria Naples where he filled in in many roles throughout the resort. 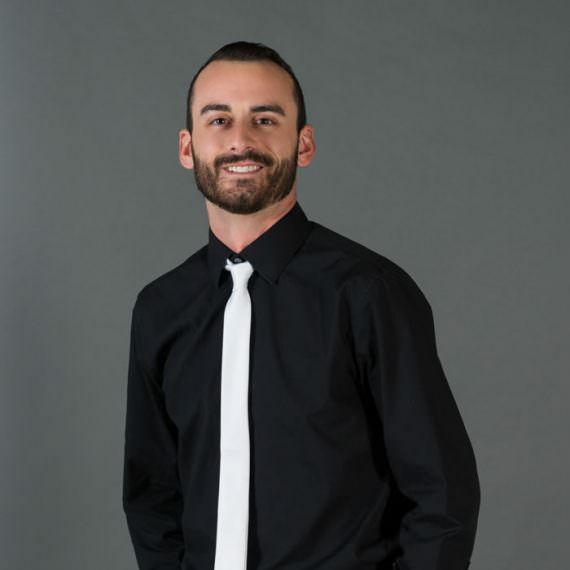 In 2016, Jerry started with Crave Culinaire where he rose from a server/bartender to assisting in supervisor roles; then being promoted to Assistant Event Manager in late 2018. Jerry enjoys outdoor activities and traveling in his spare time.